A quick lunch was all the time I had for on my last trip to Seattle in the spring. The weather was unimaginably nice for spring in the Northwest that I almost wondered if I had a mistake moving out East. 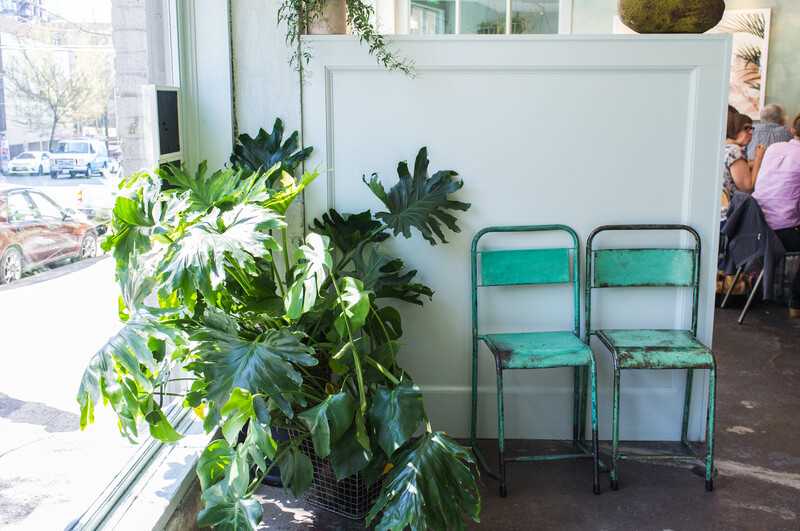 Despite the sun, there was still a chill in the early April air so a seat right up by the huge windows at Stateside on Capitol Hill will have to do. 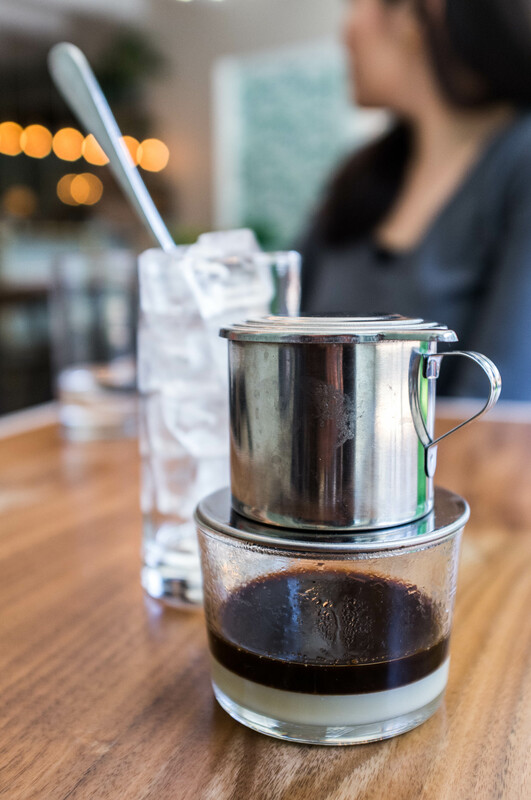 I started lunch with dessert first with a Vietnamese iced coffee and enjoyed watching the dark brew drip slowly into that sweet thick layer of condensed milk at the bottom of the cup. 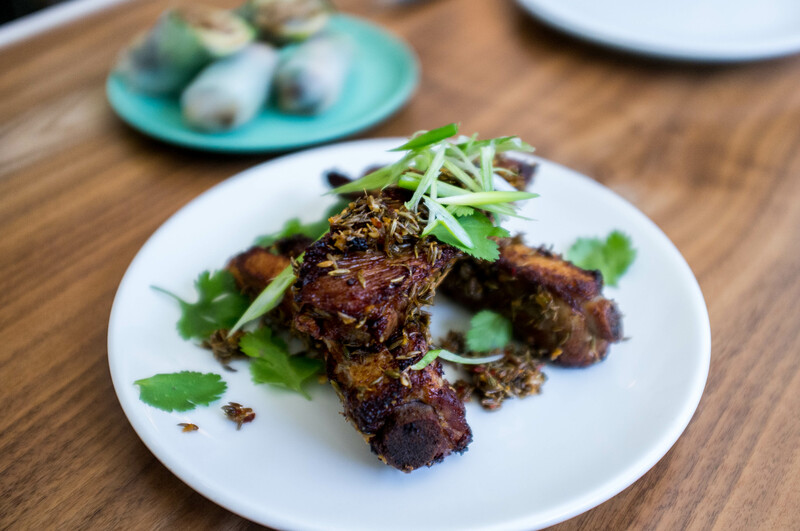 The lunch menu was an abbreviated but the best dishes remained, for example, the delicious chili cumin pork ribs that comes in spicy or extra spicy. So tender that the meat fell off the bones with a slight nudge of the fork. 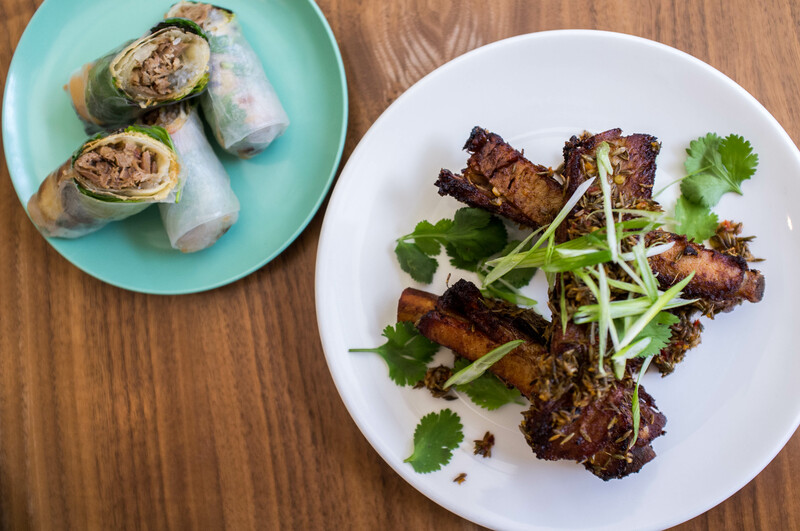 The ribs were only rivaled by the crispy duck rolls. 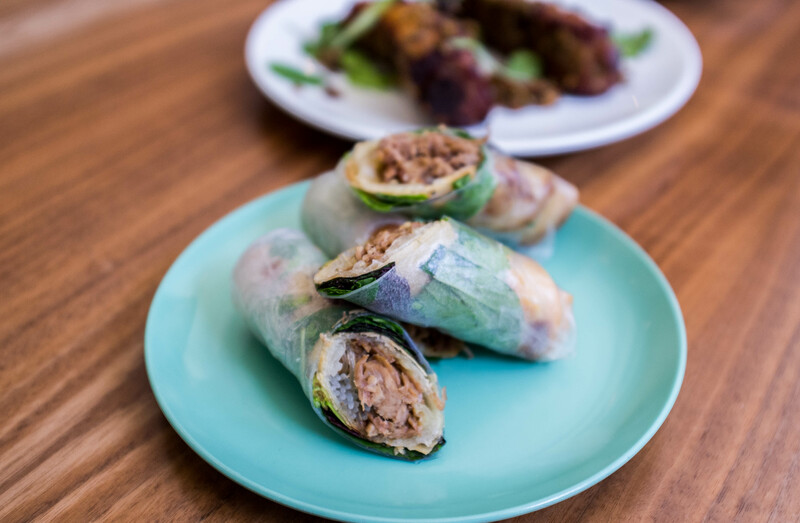 Fresh rice wrappers enrobed fresh herbs and crispy roast duck. A little extra crunch for texture from the spring rolls, these felt so indulgent yet refreshing. For a Vietnamese inspired lunch, a bahn mi was not to be missed. 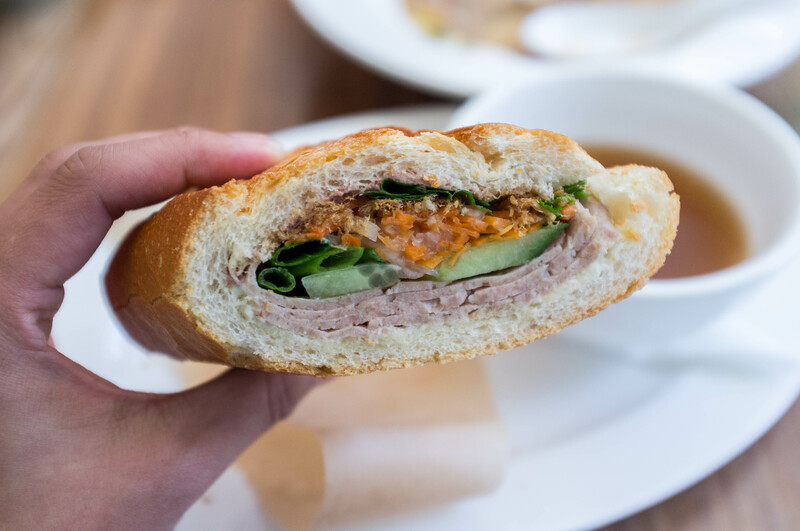 Just the right size, the bahn mi was a wonderful balance of savory liver pate and housemade Vietnamese mortadella, fresh herbs and vegetables and a hint of pork floss for extra flavor on a crunch baguette. The best part about this was the option of pairing the bahn mi with a bowl of pho broth for dipping. What an ingenuous idea! 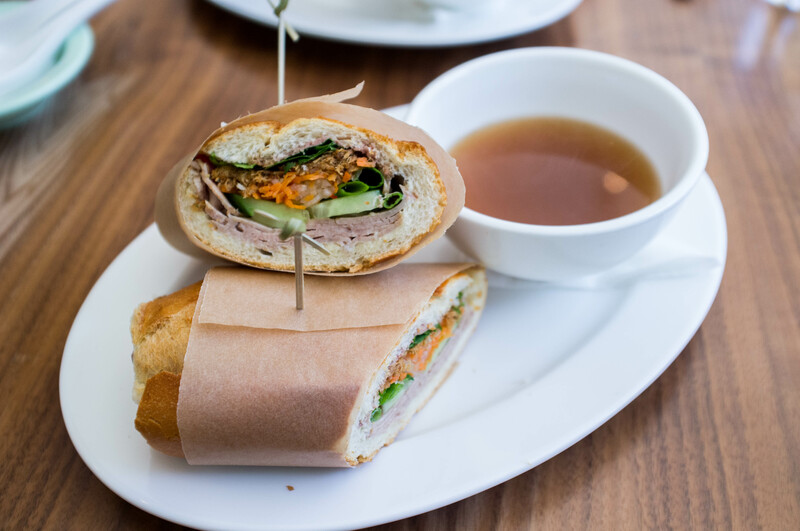 A Vietnamese soup and sandwich combo if you will. 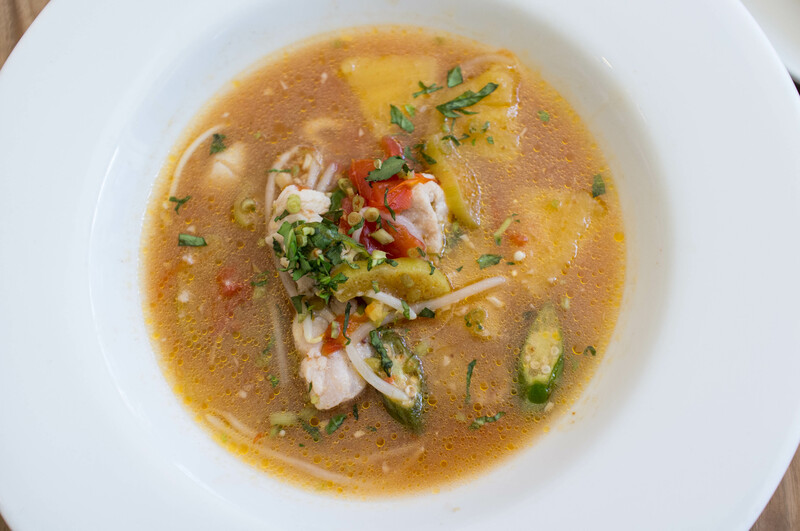 And for something a little lighter, the tamarind fish broth studded with meaty rockfish, pineapple, taro stem, okra and a medley of herbs was a perfect choice. The broth was tart, sweetened by the pineapple and tamarind and the flavor was just the slightest bit funky from the fish sauce that added depth. 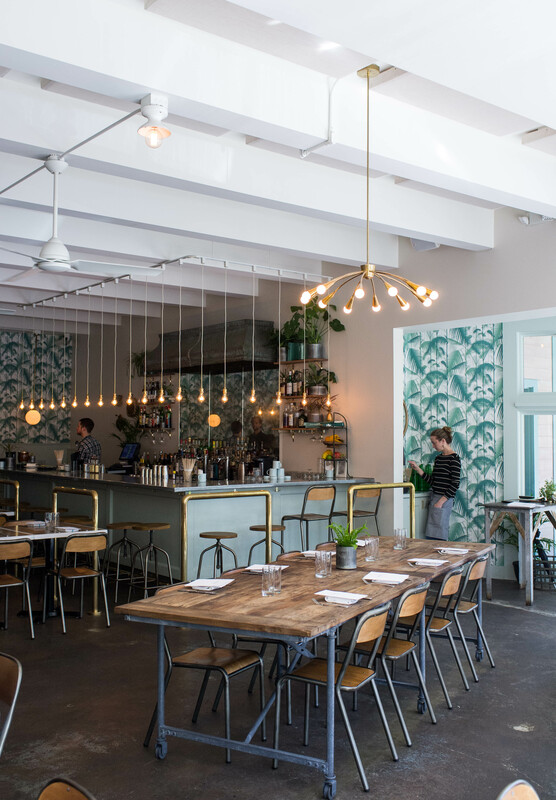 With just a taste of the delicious foods of Stateside under my belt, I will certainly be looking to return to this cheerful bright establishment on the hillside of Capital Hill.